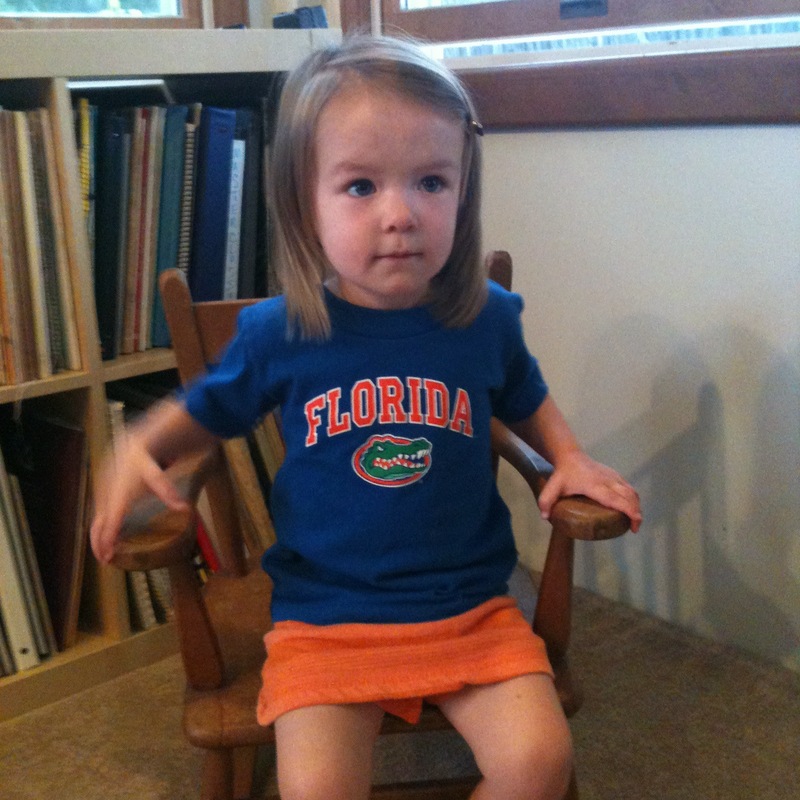 Some old college town friends just moved up to New England and we reunited with them to watch the first Gator game at our house. 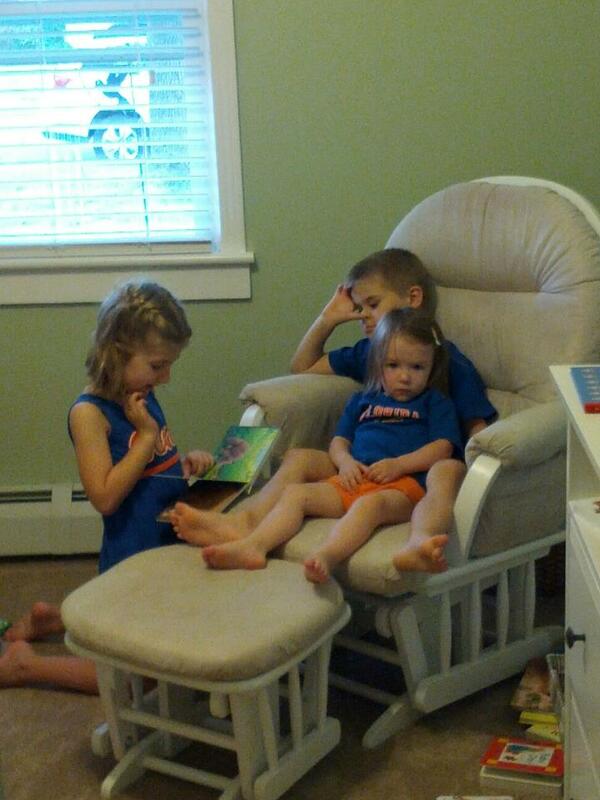 Their kids did a great job entertaining M while we cheered on our Gators and got caught up. The kids look super bored in this photo, but they had a great time together playing quietly in M’s room for the entire first half of the game! This entry was posted in Florida, Friends. Bookmark the permalink.